The Coca-Cola Co.’s minority employees work in a “cesspool of racial discrimination,” says a lawsuit filed against a unit of the Atlanta-based beverage company. David Alvarez et al. 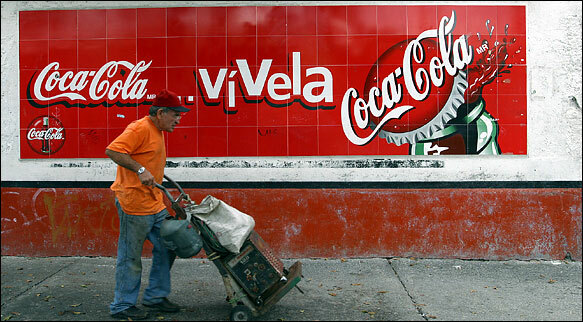 vs. Coca-Cola Refreshments USA Inc., which was filed in New York State Supreme Court in Queens on behalf of 16 current and former black and Hispanic workers, charges that an “endemic culture of racism” runs through the company’s management and supervisors at its New York bottling plans in Elmsford and Maspeth, N.Y. The suit was filed Jan. 3, but only publicized last week in the New York Daily News. It says black and Hispanic workers “are typically assigned to the most undesirable and physically dangerous positions, and to tasks that are outside of their job descriptions. “Meanwhile, the managers contravene the established seniority system by giving better jobs and more overtime hours to workers with less seniority than minority workers. “As several of the plaintiffs have found, opportunities for advancement and promotion within the company are routinely biased against minority workers. Finally, the truck drivers among the plaintiffs have had their hours unfairly limited and prevented from working overtime, while white drivers do not have to face these problems,” the lawsuit says.